Changing children’s lives by inspiring creative, innovative, and confident thinking; connecting imagination and intellect through the power of music. There have been many wonderful things that have happened in Mark Wood’s extensive career, but his experiences working with Celine Dion (both as her string arranger and on tour) are among his most cherished. When Celine heard about Mark’s endeavors with The Mark Wood Music Foundation, she unhesitatingly shared her thoughts in this beautiful video message of support. 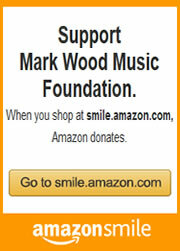 The Mark Wood Music Foundation (Electrify Your Music) is a tax-exempt 501(c)(3) charitable organization that exists to empower, inspire and electrify promising student musicians at schools with underserved music education programs and student musicians in need of scholarship opportunities and vehicles for self-expression. International recording artist, electric violinist, and music education advocate Mark Wood, along with his partner and wife Laura Kaye, personally travels to cities and schools across the nation to jolt motivation in young musicians, inspiring them to continue in their musical pursuits as well as elevating their self-image and self-esteem, all while augmenting student, parent, teacher and community interest in each school’s music department. 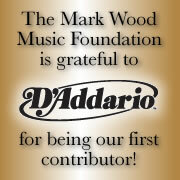 Though Mark Wood has been successful in many areas in his life, his primary passion is and always will be music education. We want students to be able to follow their dreams and connect with their own unique creative gifts! By offering music scholarships, instruments, and other avenues of creative expression, we can give talented young musicians the opportunity to continue their musical pursuits and grow as creative individuals. Now embarking on its 18th year, EYS awakens student musicians to their highest potential, opening them up to the adventure of music and transforming them into expressive people who can’t wait to learn. Through EYS, Mark travels from city to city uncovering undiscovered talent and allowing students to musically reach for the stars. By bringing EYS to schools and communities that may not be able to afford the program on their existing budgets, Mark hopes to develop an “I can accomplish anything” mentality and spark passion in all facets of each student’s education. Putting instruments in the hands of young musicians who may not be able to afford them allows these musicians to become more excited about music and explore their creative landscape as they never have before. An expanded, in-depth version of EYS, MWROC is a week-long immersive experience for educators and students who wish to learn all the important skills needed to express themselves creatively at the highest level possible.